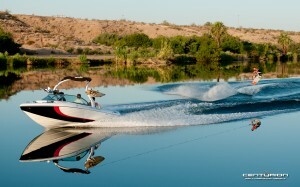 Official visitors guide and website to all things Apache Lake companies in Arizona. The services include boat rentals, jet skis, waverunner, seadoo, tours, and watercraft rentals. Apache Lake is one of four man maid reservoirs created along the Salt River in central Arizona as part of the Salt River Project. The lake is located near the Apache Trail about 65 miles northeast of Phoenix, AZ. Apache Lake was formed by Horse Mesa Dam and has been a water sport and fisherman’s dream. The second largest of the four Salt River Project reservoirs ( Roosevelt Lake is the largest), Apache Lake is located about 5 miles downstream from Roosevelt Lake and upstream from Canyon Lake and Saguaro Lake which are much smaller. Apache Lake is a popular recreation destination for boating within the Tonto National Forest and our services are at the lake and reservations are required for any boat or jet ski rentals. The lake is located along the Apache Trail and a number of other hiking trails can be found in the area. Many species of fish can be found in the lake if your planning to fish including; largemouth, smallmouth and yellow bass, crappie, sunfish, both channel and flathead catfish, walleye and carp for those who love to fish.